Frankenstein Meets the Wolfman is the first time movie characters had a crossover event in a connected universe. The film brought to life many legal issues that attorneys have howled over for decades. Lawrence Talbot was dead at the end of The Wolfman. Frankenstein Meets the Wolfman begins with two men who entered the Talbot family tomb and opened Lawrence’s crypt four years after his death to steal cash, a ring, and his watch off his body. This is the literal definition of “grave robbing,” but with a few historical twists. 19th Century cases pertaining to “grave robbing” centered on the removal of a body with the purpose of selling the remains for medical experimentation. State v. Baker, 46 S.W. 194 (Mo. 1898). In the case of Lawrence Talbot, the robbers clearly trespassed into the crypt with the intention of committing a crime, but it would not be the “ancient” view of grave robbing. These older laws would clearly prohibit the conduct of any of the Dr. Frankenstein’s who dug up bodies for experiments. Modern laws clearly prohibit the conduct of the men who tried to “rob” a dead body. Idaho prohibits the desecration of a place of burial. Idaho Code § 18-7027. Entering the tomb and opening the crypt would qualify as desecrating the grave of Lawrence Talbot. Nevada specifically includes that anyone who removes an article interred with a body is guilty of a felony. Nev. Rev. Stat. Ann. § 451.030. Talbot’s watch, ring, and cash, were clearly intended to be interred with his corpse, as those items were buried with him. While the two grave robbers did not have their day in court, they did suffer extra-judicial punishment from a reanimated corpse that turned into a wolf. After a distraught father named Vazec carried his dead daughter killed by the Wolfman to the town square of Vasaria, the public response was to form a mob led by the chief of police. The angry mob quickly found Maleva, who was racially profiled as a Gypsy. She was told to “speak up, Old Witch,” and suffered other indignities. The angry villagers chasing after the Wolfman were at best an “unlawful assembly,” which is when two or more people do “an unlawful act, or do a lawful act in a violent, boisterous, or tumultuous manner, such assembly is an unlawful assembly.” Cal. Penal Code § 407. The plausible argument for unlawful assembly is the villagers were seeking a dangerous animal that killed a human being, yet were doing so in a violent manner. 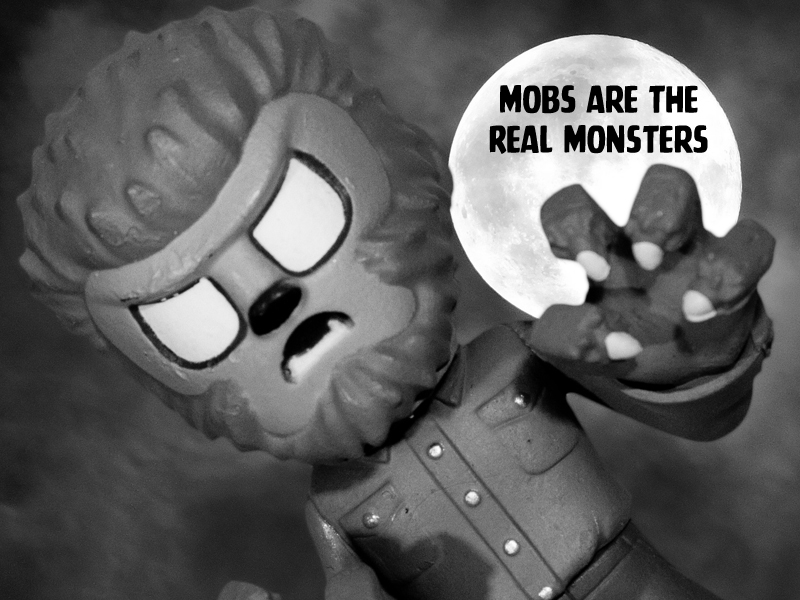 The villagers pursuing the Wolfman could arguably be a riot, which is when there is any “use of force or violence, disturbing the public peace, or any threat to use force or violence, if accompanied by immediate power of execution, by two or more persons acting together, and without authority of law, is a riot.” Cal. Penal Code § 404. There is an argument that the villagers were acting under the authority of the police. Moreover, in times of public calamity, a governor could call for volunteers to act in an unorganized militia. Cal. Mil. & Vet. Code § 128. There is a colorable, but not strong, argument the mayor did call for volunteers and the villagers acted as an unorganized militia in response to the “public calamity” of a wolf that had killed a girl was now stalking villagers. There were multiple instances of riots being urged and those calling for a riot could be prosecuted. Cal. Penal Code § 404.6. Moreover, when two or more people make any attempt to riot if they had actually committed the act, they could be prosecuted for committing a “rout.” Cal. Penal Code § 406. Naturally, the crimes of urging riot and rout were committed in the town bar by individuals drinking alcohol. Dr. Mannering agreed to help the villagers by killing Frankenstein’s Creature with science. After reviewing the diary of Dr. Frankenstein, Mannering agreed to help Larry Talbot commit suicide. 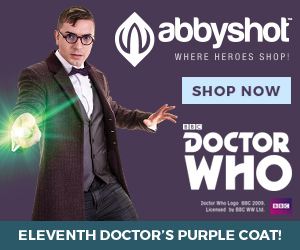 That….is really problematic for a doctor. The Hippocratic Oath states to “do no harm” and that a doctor will not “administer a poison to anyone when asked to do so nor will I suggest such a course.” Thorburn v. Dep’t of Corr., 78 Cal. Rptr. 2d 584, 588 n.6 (Ct. App. 1998), citing The Oath of Hippocrates, as quoted in AMA Council Rep., supra, 270 JAMA 365. Medical ethics stated that doctors participating in state-ordered executions violation their duties as doctors. Id. In the case of Dr. Mannering, this is doubly problematic, because he is helping Talbot kill himself and a “promise” to kill Frankenstein’s Creature. There is a new law that goes into effect on January 1, 2019 that makes it a felony to deliberately aid, advise, or encourage another to commit suicide. Cal Pen Code § 401. Dr. Mannering, Baroness Elsa Frankenstein, and Maleva, all aided in Talbot’s goal to commit suicide. While the plan was unsuccessful, Dr. Mannering violated medical ethics and engaged in conduct that would be a felony. The issue of Frankenstein’s Creature is more black and white: Murder is the unlawful killing of a human being, or a fetus, with malice aforethought. Cal. Penal Code § 187. Draining all of the life out of the Creature would have been murder, if Dr. Mannering had gone through with it. Instead the doctor could not resist going all “mad scientist” and opted to make the Creature stronger. Vazec sought revenge on Talbot, Dr. Mannering, Baroness Elsa Frankenstein, Maleva, and the Creature for the death of his daughter. His logic was not based on reason, but prejudice. In order to kill everyone at Castle Frankenstein, Vazec decided to blow up the dam that provided hydro-electric power to the castle and flood the area. Domestic terrorism is any act that is dangerous to human life that is in violation of the law. 18 U.S.C.S. § 2331(5)(A). Blowing up dams is not like parking illegally. Society cannot survive when individuals leverage self-help remedies for their grievances. Blowing up a dam to murder multiple people is a reckless action that could endanger the lives of everyone in the town. While the death of Vazec’s daughter was tragic, murdering multiple people would not bring her back. Frankenstein Meets the Wolfman is the first time two Universal Monsters crossed over into one film. It is heavily “Wolfman 2” with Frankenstein’s Creature as a guest star. Lon Chaney Jr does a masterfully performance as someone suffering from a horrible condition who is riddled with guilt. For an in depth discussion of the film, please listen to the podcast with Matt Weinhold from Monster Party, available below.